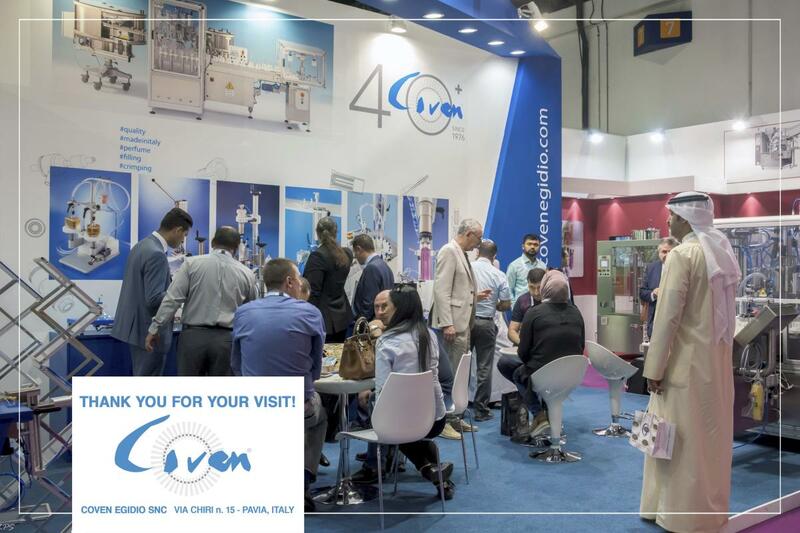 Coven Egidio Snc is a company specialized in the production of perfume bottle filling machinery for perfume manufacturing. Perfume Packaging Industry Machinery by Coven: Perfume bottles’ Filling Machine, manual perfume fillers, semi-automatic perfume filling machines, pneumatic perfume filling, fully automatic filling and crimping lines. Our 40 years of experience allows us to create high quality and user-friendly products; from the simplest manual crimping and filling tools up to automated filling crimping line. Our clients are guaranteed post-sales assistance and flexible and reliable technical service. High Quality fragrance filling machines. Reliable and efficient after-sales service. All our perfume filling machines are made in Italy. We are at your disposal for additional information regarding our products.